To bolster his Bulgarian skills, my husband volunteers at a charity center that helps single mothers. He makes needle felted crafts with the other volunteers, mostly older women, listens to their stories and pushes himself to tell his own stories. The ladies know I’m into knitting, and invited me to join Lorenzo one day, and to paw through a bag of scraps. Someone’s grandmother had passed, leaving behind her craft stash, and anything I didn’t want would end up in the trash. There’s something very intimate about going through a stranger’s unfinished crafts after they’re dead. The bag contained sharply creased linens, half-embroidered with pixellated traditional designs. 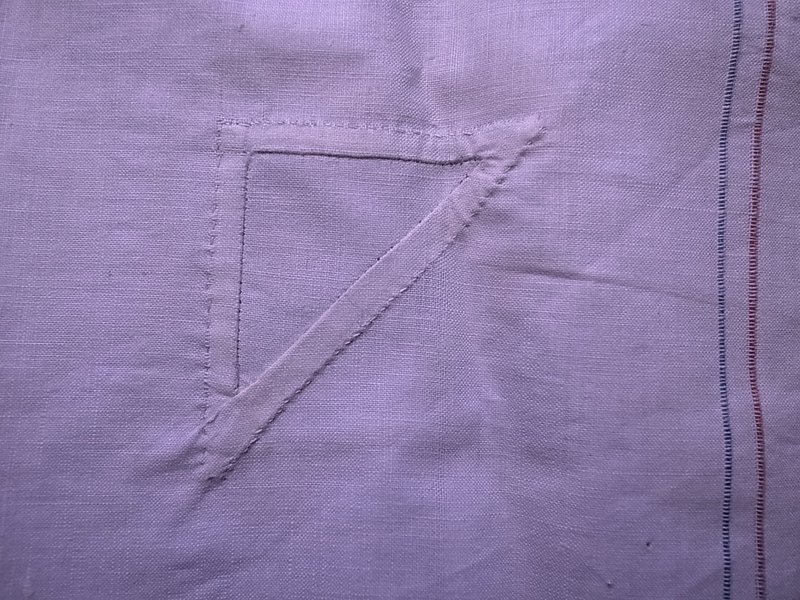 One corner of the linen might be completely filled in, the motif fading outwards into a single thread. Besides embroidery, this person also crocheted breathtaking little bits out of stiff cotton thread. When she was tired of one, she’d stuff it into an empty candy box (which, post-Communism, are now artifacts in their own right) and start a new one. 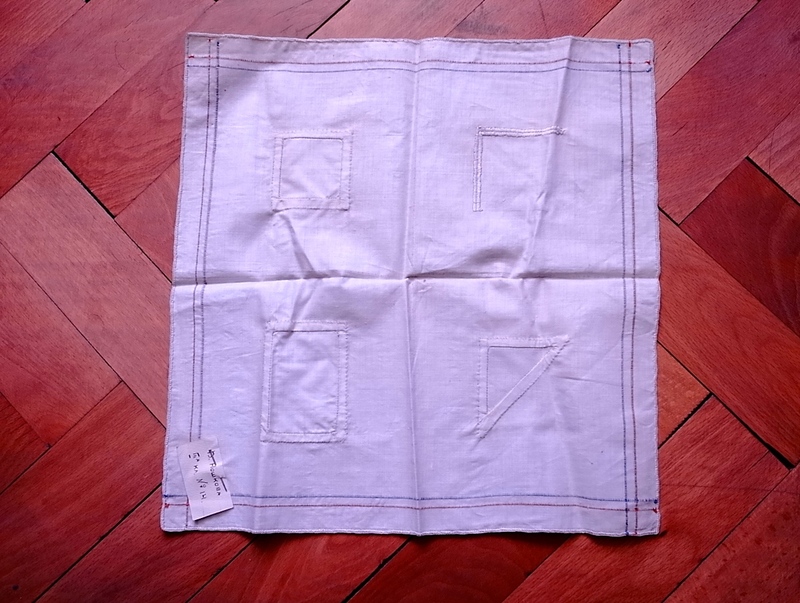 There’s also an unbelievably exact little handkerchief with samples of different hand-stitched patches, which, according to the tag, might have been stitched by a third grader. 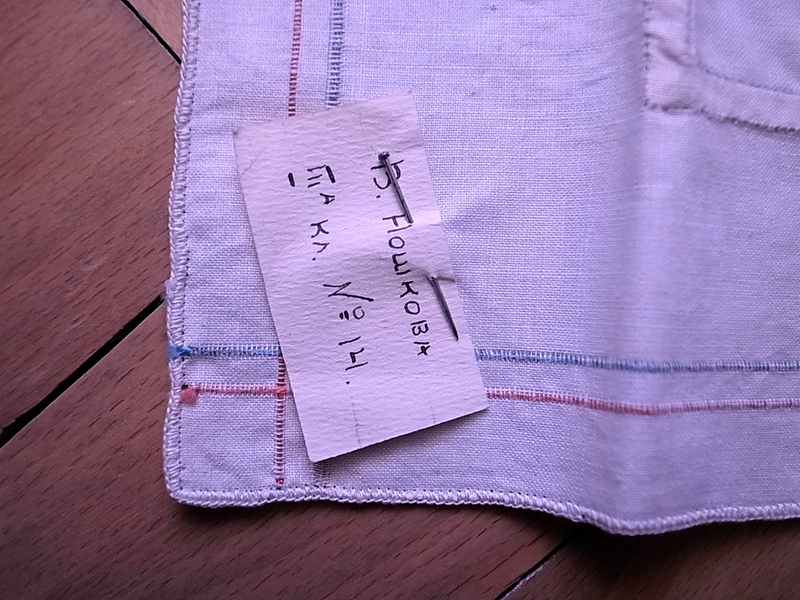 Sifting through this treasure trove has inspired me to blog more examples of local textiles. I’ll be carrying my camera around, so stay tuned for more fiber finds. The first thing I noticed is that the article was published by Yahoo! Makers, which is apparently a thing that exists (neat, I guess). The headline is classic clickbait, designed to compel and stir up discussion. But the article’s thesis, that knitters are tired of hearing well-intentioned randos insist that they should commodify their craft, is familiar and resonant. I’ve heard, and felt, the same sentiment many times. When someone tells me I should sell my handknits, I take that for what it is: a compliment. But sometimes the complimenter persists, and wants to know why I haven’t pursued this brilliant business plan already. This might be someone who, earlier, told me they never spend more than a few dollars on a t-shirt, or that they think $100 is way too much to pay for a pair of jeans. Since textiles have become one of the cheapest commodities on earth, and the people who make our clothing are increasingly denied living wages or safe working conditions, I don’t know where someone would get the idea that making clothes, by hand, is a smart moneymaking venture. That’s when it veers into uncomfortable territory, when I have to explain how much money and time actually goes into a handknit item, and how much such a thing would have to cost in order to bring in even a small profit. When I explain that I do sell patterns for my designs, and that I’m happy to teach anyone to knit who wants to learn and will pay for my time, that’s usually where the conversation ends. So I very much relate to this piece, as did plenty of people on the WEBS Facebook page, where I first saw the article posted. Most people who comment on my knitting are not interested in having a conversation about their role, and moral responsibility, within the garment supply chain. Knitting, like any textile art, draws you closer to the beginning of that chain. Making a garment changes your perspective on clothing, and about how much of yourself you’re willing to invest in something you love.